Ruggles & Jeffery is a specialist shop fitting contractor based in Wickford, Essex. We have been providing national integrated construction, retail fit out, office fit out, refurbishment and dilapidation solutions to the Retail Sector since 1992. So whatever your shop fitting requirements, we have the resources and expertise to meet your needs. We have worked directly with major retail stores and chains and indirectly in partnership with Facilities Management Companies, Design Specialists, Property Sevices Companies, Architects and Surveyors. Ruggles & Jeffery works with our retail clients to give their customers the perfect shopping experience. Our clients demand a retail store finished to the highest standards and that’s what we have consistently delivered. 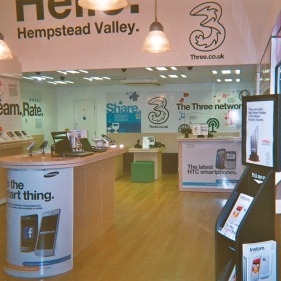 Our shop fitting teams provide high quality shop fronts and interior fit outs for maximum impact inside and out. Our clients appreciate the clean environment that we maintain, our quality and the care that we take when working in occupied shops and offices. We minimise the disruption to their business and work at times that suits them and their business. When you choose Ruggles & Jeffery, our directly employed, long serving and skilled craftsmen can deliver a full shop fitting and refurbishment service. Our wide range of skills and crafts enable Ruggles & Jeffery to provide a plumbing, electrical and decoration solutions as well as major refurbishments, dilapidations and strip outs. We have many delighted Retail customers who have been happy to work with us time and again.